Mobile, Ala., uses video-based driver risk management program to increase safety and cost savings. In 2009, Mobile, Ala. recorded 10 at-fault accidents in its solid waste division and 16 collisions in its trash division. "We made a commitment to our community to operate the safest fleet possible, while also reducing costs for the city," says Mobile Safety Manager Gary Gamble. As a result, the municipality decided to deploy the DriveCam powered by Lytx video-based driver risk management program. The program’s technology improves safety by combining data and video analytics with real-time driver feedback and coaching, resulting in reductions in collision-related costs and fuel consumption. The solution scores, prioritizes and tracks the results of driving behaviors to identify improvement opportunities for increased safety. 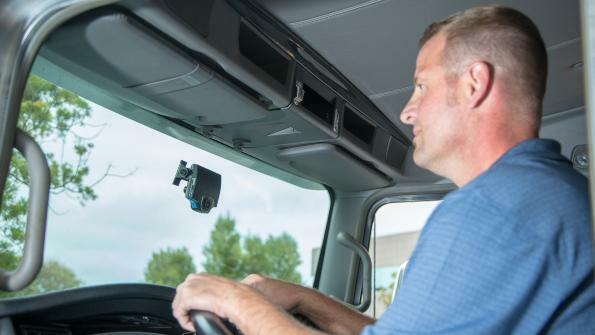 An in-vehicle video event recorder captures driving behavior, which is objectively reviewed and scored by trained professionals, then passed on to the fleet for use in coaching drivers. Mobile started with a small trial program that soon expanded to 30 event recorders. Thanks to the increased transparency as to what was actually happening in various vehicle fleets, Mobile began to save money by reducing accident claims. Since deploying the video-based driver risk management program in 2009, the city has experienced a 62 percent decrease in incidents. "We’ve significantly reduced risky driving behaviors like distracted and drowsy driving, as well as following too closely, which can lead to future incidents,” says Gamble. Mobile also reports that compliance with its seatbelt and cell phone usage policies has also dramatically improved. “The [program] also allows us to protect and exonerate our drivers through the use of video,” continued Gamble. In fact, both city managers and drivers have seen many instances where the recorders have proven beneficial in securing driver exonerations and protection from fraudulent claims. In one case, a city trash truck traveling in a residential neighborhood making a left-hand turn was hit by another vehicle attempting an illegal pass. “If we didn’t have the unit installed, it would have been difficult to prove that it was not our fault, even though the other driver was behaving in a reckless manner,” says Gamble. Today there are 110 units across the city’s transit, public works, ambulance and fire truck fleets, among others. Mobile leadership hopes to expand the solution to all of its public works vehicles including supervisor vehicles, parks and maintenance vehicles, and smaller vehicles used by code inspectors and others. In addition, the city is looking at ways to reward employees using the information and insights gained from working with the program. Well! great share! Most collisions are caused by driver error than by any other factors. The tragedy is that nearly all collisions could have been prevented. Safe driving habits are simple, but in today’s hectic driving world, they are often overlooked, forgotten or simply ignored. I am really happy if we can apply technology to predict and prevent collisions in future.